Does Santa Know How Old I Am? Christmas Campaign goes live TODAY! There’s a Baddie Running Through This Book & Blast Off! hit Christmas Lists! Get your paws on a copy here! Never mind the hard covers and pointy edges, I am of the opinion that books are the warmest, fuzziest gifts that you can give a kid. Picture books, in particular, are most children’s earliest exposure to art and literature, so I think a beautiful book is one step in the right direction of growing a lifelong arts lover. I have fallen in love with many Aussie picture books this year, so I’m rounding of 20 of the gorgeous Ausstralian picture books (in no particular order) that have made me starry eyed in 2018. 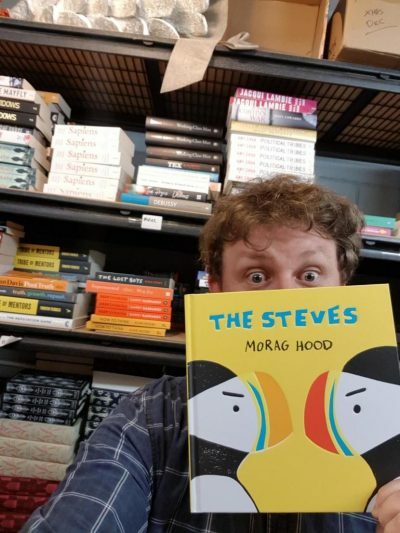 Any of these would make a stunning gift for your children, grandchildren, cousins, neighbors, class birthday kids, childcare centre …basically, if you know a kid, there’s a book on here for them! Blast in to Space with your own copy HERE! Part of the Kinderling Conversation for parents. Weekdays 12pm-1pm. Sometimes with kids books there can be a bit of a separation between education and fun – you’ve got the counting and alphabet picture books in one corner and stories in another. 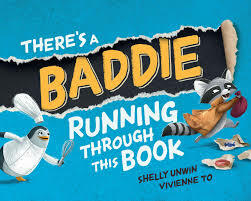 Shelly Unwin is a Mum of two and an author who has managed to bridhe that gap with her “You’re” series. 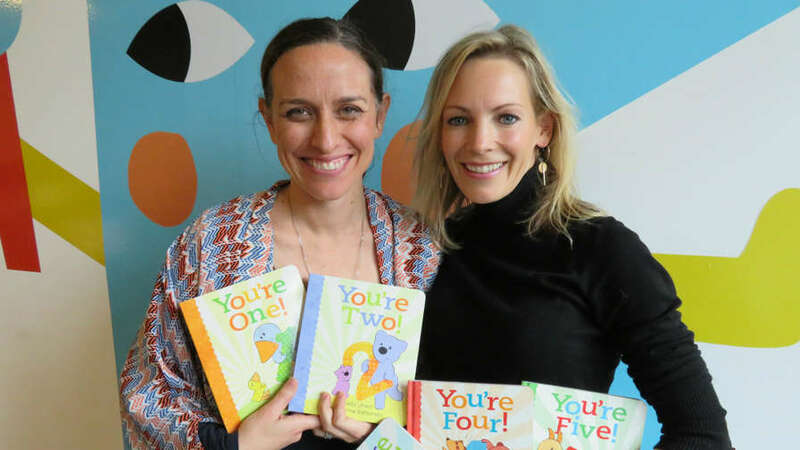 The books are aimed at kids one to five and celebrate each year with rhymes that also help kids learn about counting and the world. Shelly opens up about how she turned a dream into an adorable and clever book series and what the future holds. There’s a Baddie Running Through This Book gets a Sunday Times review!! Over the last few weeks I’ve had the enormous joy of launching my latest picture book, Blast Off! in Sydney and Canberra. It is such a fun book to launch with kids. I’ve transformed them into little astronauts before we’ve taken a trip around the solar system alongside the characters in the book. At the Lindfield Learning Hub I was joined by the amazing Ben Wood who illustrated Blast Off! He created an awesome whacky planet with the kids ideas, they loved his alien with 32 legs, and the fruity sky, as well as playing with their own ideas on black paper with oil pastels. At the Deep Space Communication Complex, Moon Rock Cafe in Canberra we had fun in the NASA astronaut suit, and the kids tested their astronaut fitness levels as well as trying to put a puzzle back together wearing Space Gloves. And how amazing does their artwork look against the backdrop of a Canberra blue sky and a satellite dish?!!! At Harry Hartog, Woden I was interviewed by the beautiful Claire, who wanted to know all about my favourite planet, which planet I would visit if I had the chance, and who I would take with me. The mini astronauts tested their bravery and did some wonderful star jumps before we went adventuring into space. I’ve been signing lots of books too, you’ll find signed copies at Dymocks Canberra City, The National Library of Australia book shop, Paperchain in Manuka, Dymocks Belconnen, Harry Hartog Woden, Kinokuniya Sydney, The Children’s Bookshop Beecroft and The Lindfield Learning Hub. Photo credits to Leanne Barrett and Amelia Mcinerney. I can’t wait to see the first books hit the shelves on the 24th May and to Launch the books officially on the 1st June, with a number of launch parties to follow. Check out my blog post ‘Launch Time’ for details of how you can get involved in a launch. You’re One! You’re Two! You’re Three! You’re Four! and You’re Five! Picture Book series with Allen & Unwin. Due for release on the 1st June 2017. Illustrated by Katherine Battersby.